How do you create catchy email subject lines so enticing that your subscribers simply can’t resist opening them? 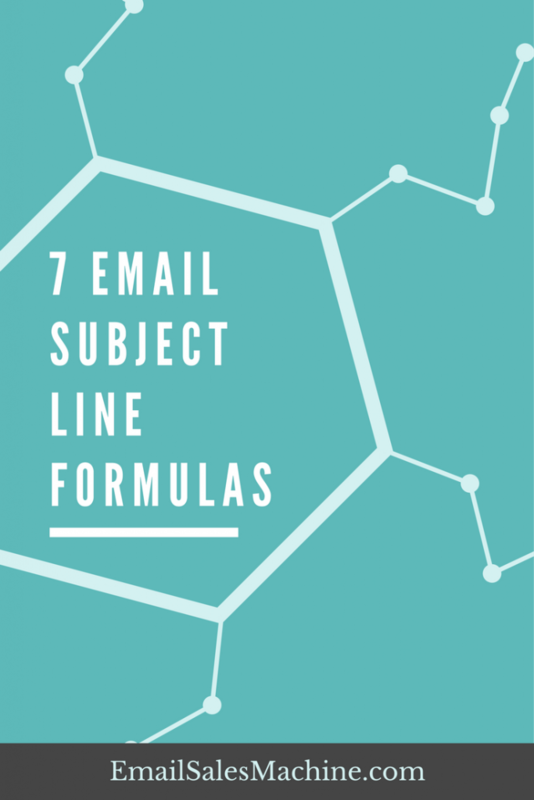 What you need are easy to use formulas that get emails opened. Formulas that inspire and spark ideas and kick your brain into gear, while applying best practices. These examples are tried and true. They simply work. Some work better for networking, some are a little more professional, some help you keep it personal, and some of these subject lines are down right funny (I’m not going to lie). Use these formulas and let me know how things turn out. We all want to know what’s going on in the world whether we’re watching the news on TV or checking our fries Facebook statuses. We want to hear the latest reports, stories, studies and ideas that are impacting our lives both directly or indirectly. There’s no way to know everything and if you can highlight new things happening in your market you’ll always peak interest from your subscriber list. The key is to focus on new information, inventions, innovations or etc. in your target market. Having a firm grasp on your market and audience is crucial if you want to share the latest reports and happenings in your market and business, so you can turn subscribers into loyal fans and customers. Find real news in the industry and report on how it ties into your product or service. This should go without saying, but don’t make this stuff up. Be truthful. Dibble, dabble and have fun with these. The truth is in the data. If data is shockingly truthful then you’ll get an even bigger response rate with your emails. Using data in your email subject lines connects with the logical side of the brain. However, you can lure the artistic side of the brain simultaneously in one subject line by using extraordinary “data statements” in your subject lines. The challenge most people run across is finding the data. Yes, you can Google your market’s stats and find some interesting statistics, however everyone else on the internet is using the same data. 1. Track data over long periods of time. For example, if you’re looking for compelling data check out the US ﻿﻿﻿Census Bureau and research your market over the past 30-100 years. You can find interesting data like population growth in a specific city or state. You can spot trends on where people are migrating to and share the growth stats in your subject lines. 2. Look at other government reporting sites like the Department of Labor, Department of Economics, Data.gov or etc. to gather a collection of compelling and shocking data that will support your product or service. News Outlets – CNN, New York Times, Wall Street Journal and etc. With fresh data at your disposal use the email subject line formulas below to help you create compelling and powerful subject lines that increase your open rates. Everyone wants to learn how to do something. No matter what niche or industry you serve it’s hard to go wrong with the classic “how to” email subject line. People are need to fill knowledge gaps and if you target your audience at the right time with a strategic How To subject line your chances for increased open rates will explode. Everyone typically looks around to see who’s brave enough to ask the first question. When the first person asks their question that’s when the magic happens. As humans we have a hard time resisting an open question. We feel almost compelled to say something. Questions are powerful in email subject lines too. People find it hard to resist opening a simple question email, because it feels personal and they feel somewhat compelled to see if they need to answer the question. Adding that one little punctuation mark at the end of your emails subject lines is powerful. Below are some Inquiry Formulas that have worked well for me and others in the past. What have you done since last year? What areas are you looking to grow in? When will you take the leap and grab your dream? Where can I send your gift? Where do you need help the most in your business? Where is the best place to travel in Europe? Where is the worst place to travel in July? How likely are you to open this email? Who am I? Ever ask yourself that? Who do you need to know in order to get what you want? [Brief statements that end with a question mark]? Did I/we do something wrong? I immediately don’t believe them? But if a friend, co-worker or even a complete stranger (who I knew for a fact wasn't a salesperson) told me, “She’s a really great salesperson – you can trust her advice.” I’d be open to what she would recommend to me. That’s the power of endorsements. Advertisers have known for decades that what others say about you, your brand or your product builds trust in potential buyers. Which is why many websites, brochures and even power houses like Amazon.com have reviews and testimonials sprinkeled throughout the site. They also work really well for email subject lines. Make a note of these formulas and start using them today. I’d recommend that you take a look at any automated emails you might have set up in your email marketing software and test out some of these formulas. Flamboozled! I couldn’t believed I was “tricked” again. He paused, looking down at the floor. He looked back up at her. He started to say something and then stopped, looking back down at the floor. Jon Morrow wrote that opening section on one of the most popular blog posts of all time at Copyblogger.com. Jon’s opening for this post immediately creates open loops in the reader’s mind. 10s of thousands of people were compelled to read the post, comment on the post and share the post because of the open loops it created with those few opening lines. When you create open loops in someone’s mind it’s like an itch that has to be scratched. The reason why open loops are so powerful is because it plays on people’s curiosity and the desire to know what happens next. Also known as the Zeigarnik﻿﻿﻿ ﻿e﻿ffect​. Open loops are used all the time in soap operas and many late night TV shows like The Walking Dead, Game of Thrones, The Flash and many more. Just think of all of the season finales you’ve watched over the years. The hero has her back to the wall and it looks like she’s doomed. There’s nowhere else to go. What is she going to do? She’s looking around frantically but the zombies are everywhere and there’s no place to run. That open loop is why so many people love watching TV shows. We love suspense, and we can’t stand it when we don’t know what’s going to happen next. Leveraging these Loop Formulas below for your email subject lines is a great way to help you get more opens and more engagement. When creating open loops make sure you close them or else you run the risk of upsetting a bunch of people. Use responsibly. There are certain words in the english language that naturally create curiosity when read or even spoken. Have you ever stood waiting to meet a friend or family and as soon as you see them they open with something like this? Using words like “this” and “that” naturally add curiosity to a conversation, and they even work on email subject lines. This is a simple formula, but there are thousands of examples in which it can be used. Luckily, I’ve gathered a good group to help you get started. Want to learn a simple trade that’s produced a 43% avg return for the past 6 years? I hope you found these formulas useful. 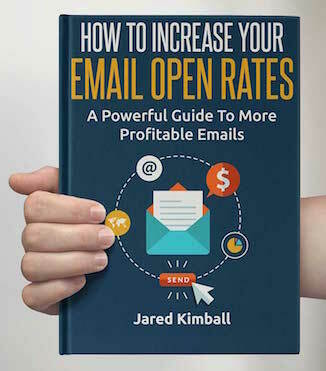 Download this Free Guide that will show 3 simple ways to drastically increase your email open rates on your next broadcast.